Black Friday isn’t just about the annual pilgrimage to hit the best sales. It’s that special time of year that kicks off the HO, HO, HO and Christmas season! Parents you know what I’m talking about. You’re sound asleep, stuffed from three servings of turkey the day before. You feel their presence, shadows hovering, followed by loud outbursts, “Is The Elf Here, Is the Elf Here?” Heart racing and in a fog, you panic as your mind races to remember where you placed the little Elf in red. Within seconds your ears perk up, “WE FOUND HIM, WE FOUND HIM!” The children jump for joy at the sight of their magical Elf Chippy who appears unrequested and unannounced until Christmas Eve. With a sigh of relief, you smile, and enthusiastically play along with this global sensation. LET THE GAMES BEGIN! Our Elf is the master of mischief! From zip lining across the kitchen to kick’n it up at Barbie parties, he is always up to no good! Don’t let us parents fool you; we are in on this game. 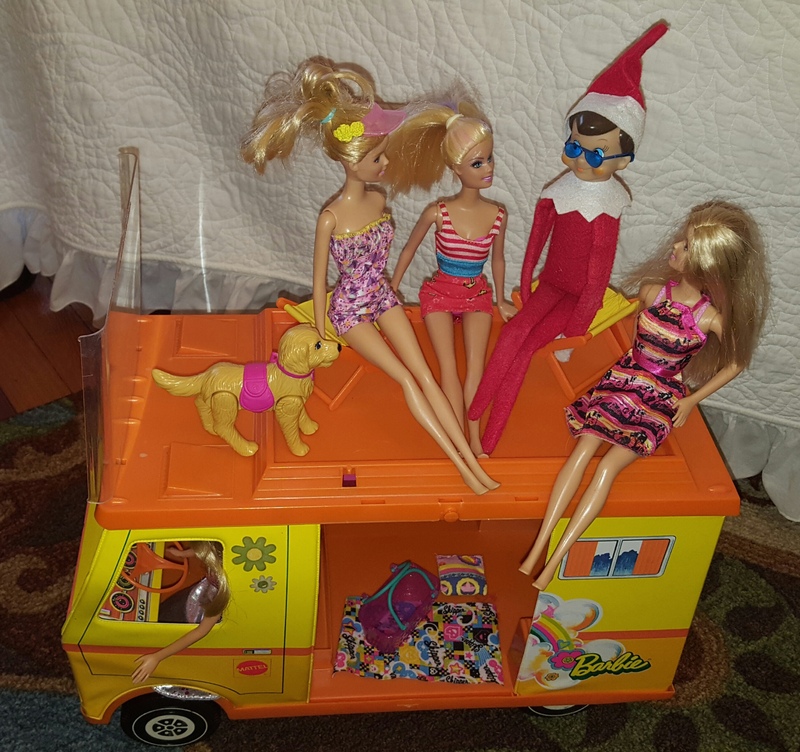 As soon as little Johnny is tucked in bed, the vino flows and Chippy is serving up Titos Martinis and filming Barbies in the bubble bath Jacuzzi. He’s been found in the strangest of places, doing the strangest of things. All for what? So we can hear our children’s belly laughs throughout the house! If you are whooping it up at holiday parties and forget to move your Elf, The “candy cane” will hit the fan! With one eye open, you silently curse, and stumble out of bed to get to that Elf before the kids do! If the pitter pat of little feet beat you to the punch, good luck! Your pounding hangover head will echo with piercing screams, “Why Didn’t Chippy Move, Why Didn’t Chippy Move?” If you don’t have a logical answer, eyes well up, and lips quiver. Do we throw Chippy under the bus? ABSOLUTELY! These simple, yet effective words, “You better not do that or “Chippy” is going to tell Santa”, works like a charm. He sits for hours observing our little ones without moving, eating a snack, or taking a potty break. Every child knows while they are snuggled in bed their Elf flies to the North Pole to inform Santa if they have been naughty or nice. Are our kids still naughty? Sometimes. But it’s not about that. It’s about creating a magical world we can escape to and forget about real life for a while. 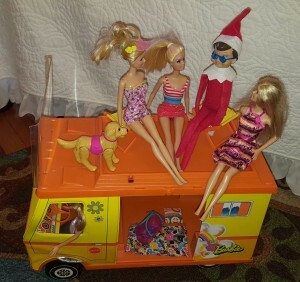 We love our ELF Chippy, the fun, the laughter and THE CRAZINESS he brings to our home. I couldn’t imagine a Christmas season without him!